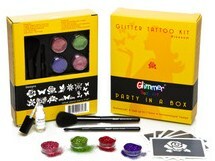 $4.75 for a Glimmer Tattoo Body Art Party Box! $25 Value! 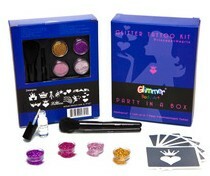 Head over to Plum District and you can get a glimmer tattoo body art party box for as low as $4.75. This is a $25 value! 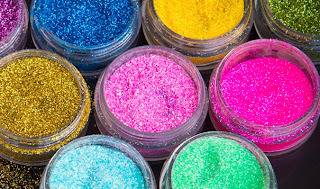 The deal is on sale for $13, but you can save a bunch on it. You have your choice of 2 kits: Princess + Hearts, or Blossom. These would be great for us adults for New Year's Eve or Mardi Gras parties, and perfect for little girl's sleepover parties! Again, click here to create a new PD account to get a $5 credit, click here to purchase deal, and use code best25 to save 25% to get the best price! NOTE: Shipping is not included and costs $5.95.